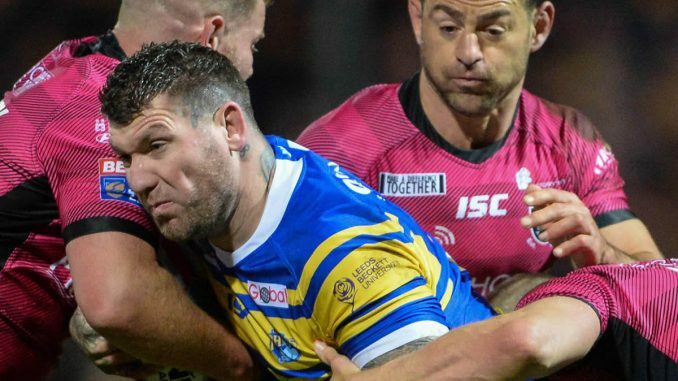 Ex-Leeds star Brett Delaney has joined Featherstone on a two-year deal. Rovers have fought off stiff competition to sign the Australian, who won four Super League Grand Finals, two Challenge Cups and a World Club Challenge during his time with the Rhinos. Delaney, 33, isn’t a completely a new face to the club, with him having made a solitary appearance on dual-registration from Leeds last year. On joining Featherstone, Delaney said: “I’m very excited to start a new chapter with Featherstone for the next two years. “I know I still have a lot to give, both on and off the pitch as a player. “Right now, I just can’t wait to meet everyone at the club and start to knuckle down with pre-season training. Delaney will join Papua New Guinea trio Ase Boas, Watson Boas and Thompson Teteh as one of Featherstone’s overseas players for 2019.